Using specific optical diagnostics investigations are carried out inside the combustion chamber as well as in simulators (combustion bombs, shock tube, experiments on single droplet and sprays in evaporating/combustion conditions) with the aid of optical techniques and numerical simulation. 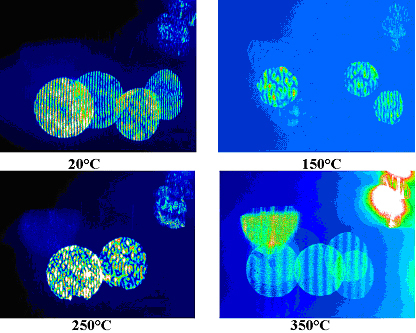 The research activity is intended to examine in depth the processes of evaporation and combustion of the fuel through the use and development of appropriate optical techniques, such as those based on light elastically scattered or fluorescence, as well as digital imaging.An original technique is based on “out of focus” images in the far field of elastically diffused light from the droplets themselves: this technique, suitable both in controlled conditions and in practical systems, can be used to characterize, in terms of size, composition and velocity, droplets of spray under unstationary multi-fuel conditions. This method may be useful to support the development of the production techniques of new alternative fuels (GTL, BTL, CTL, OTL, vegetable and fat oils, emulsions, etc.) which is evolving significantly. Other research activities are aimed at identifying chemicals of the first chemical reactions both at low (radicals) and high (particulate matters and other gaseous species) temperatures. To this end, the following techniques are used: measurement of exhaust emissions, laser light absorption and scattering in the UV-Visible range.